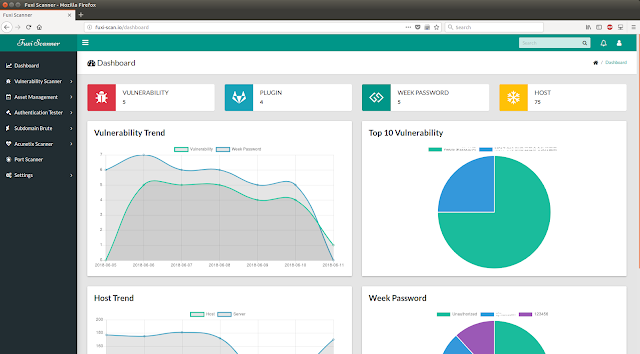 Fuxi Scanner is an open source network security vulnerability scanner, that comes with multiple functions such as Vulnerability detection & management, Authentication Tester, IT asset discovery & management, Port scanner, Subdomain scanner, Acunetix Scanner (Integrate Acunetix API). The target can be IP, network segment or URL. This’s a login cracker that supports many protocols to attack (HTTP Basic Auth, SSH, MySQL, Redis). Port scanner allows you to discover which TCP ports are open on your target host.